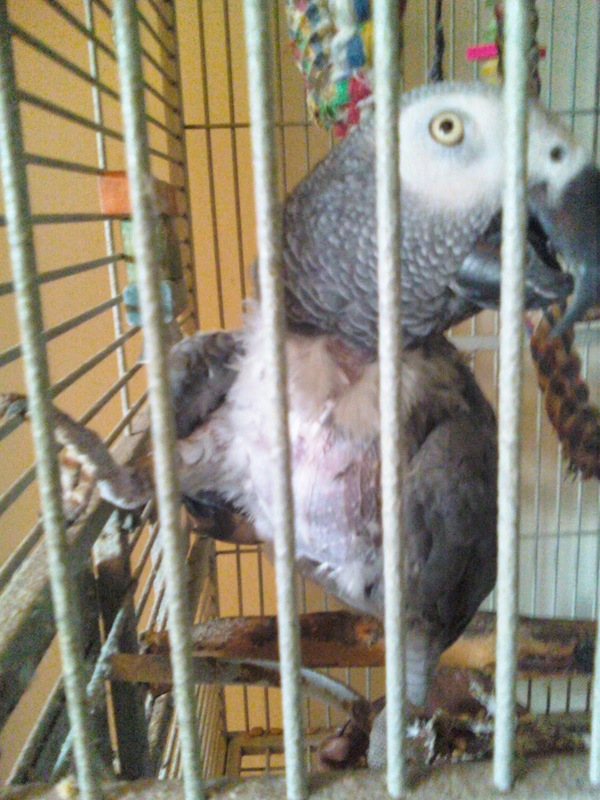 Smokey is a male Congo African Grey parrot believed to be about 25 years old, currently residing in Seattle. His current owner is his third owner. Smokey was with his second owner for only six months. Smokey is a talkative fellow. He says hello, bye, come here, his own name Smokey. And he makes all the usual African Grey parrot noises such as the phone ringing. Apparently Smokey had plucking issues prior to his current home but according to his current owner the plucking has stopped. Smokey's current owner can no longer care for him and wants to find the right home for Smokey. Smokey has a preference for women. 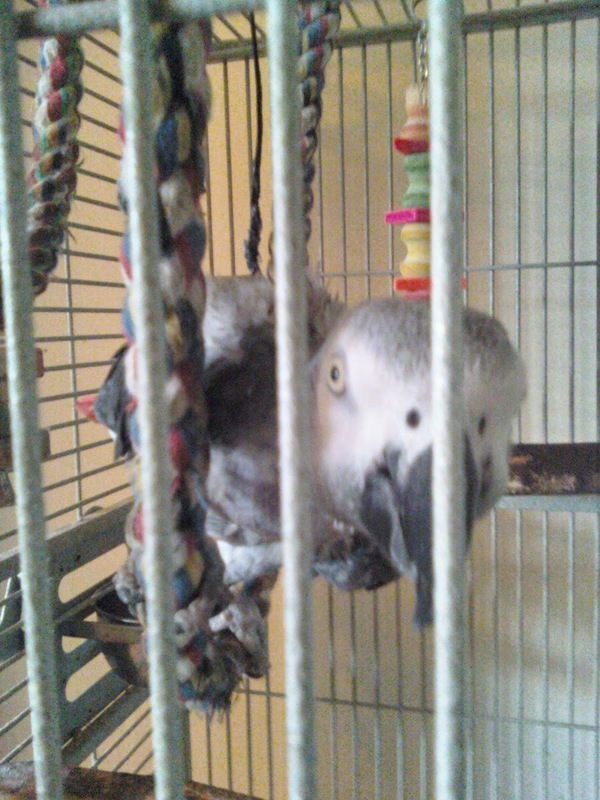 If you would like to adopt Smokey please contact Northwest Parrots Fund. 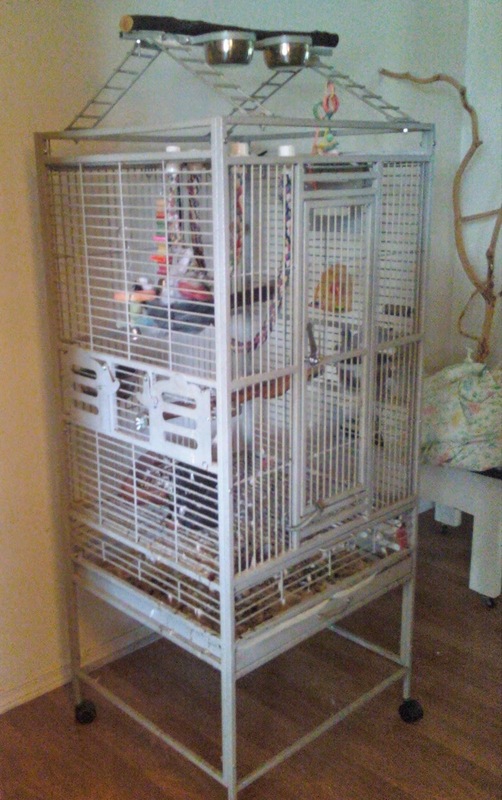 Smokey comes with his cage and toys and is Free to the Right Home.